June 11, 1978, Texas Instruments, which is best known for its calculators, got into the language learning game when they launched the Speak & Spell at a consumer electronic show. With its bright plastic packaging, it looked more like a Fisher Price toy than the future of computing, but in many respects, Speak & Spell was far more futuristic than anyone realized. However, the Speak & Spell wasn’t simply solving a hardware problem. It was also preparing us for something that has only now truly started to take hold: voice-activated educational technologies. 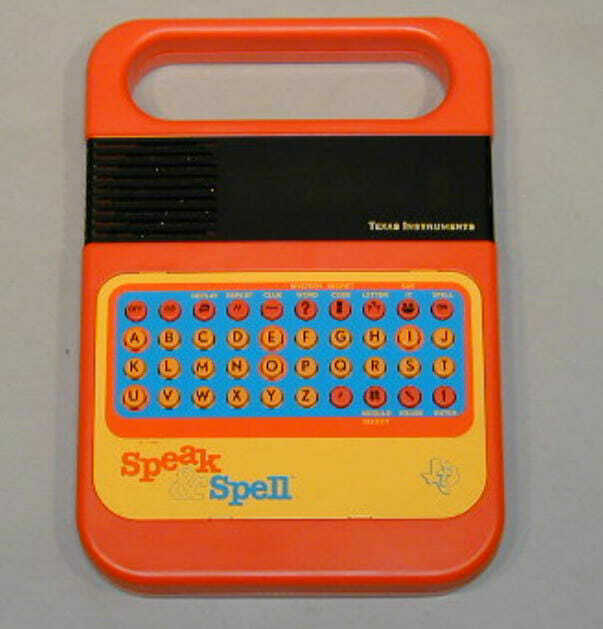 When the Speak & Spell first appeared, it came with a small library of often misspelled words. The machine, which had a speaker, would say a word and the user was expected to type it using the machine’s keyboard. As one typed in the words, the letters appeared on a screen. If one typed in the correct response, they were praised and if they typed in the incorrect response, they were encouraged to try again. However, Speak & Spell didn’t calcify. Unlike many toys, it kept evolving over time. Within a year of its initial launch, Texas Instruments was adding new modules to the toy, such as its “Vowel Power” module. Overtime, the company also made considerable changes to the toy’s interface. The Speak & Spell created an expectation that our machines communicate with us in increasingly human-like ways. Sherry Turkle underscored this with a curious footnote in her 1995 book, Life on the Screen. In the footnote, Turkle, describe a young girl in a daycare who spends most of her time alone. When the daycare introduces a Speak & Spell, the child becomes obsessed with the machine, despite the fact that it can only speak to her and not her to it–unless, of course, she is typing words said by the machine into its keyboard. What Turkle observed is that the child was working to make her machine, which she said was “a little alive,” behave in ways that made it appear more interactive and human. While it may sound peculiar, it is true that a generation of kids grew up communicating, in a sense, with their Speak & Spells. While by no means as interactive as Siri or Alexa may be be today, the Speak & Spell did introduce something that is now beginning to finally find a wider audience. With the Speak & Spell, millions of learners were introduced to an educational technology that at least appeared to talk to us. In this sense, the Speak & Spell marked a new era in edtech.